The other day, I attended a Badass Babes panel hosted by Uniform. It was to promote former editor of Seventeen Magazine, Ann Shoket's new book The Big Life, which is essentially about embracing one's mess, the work hustle, and finding your own success. Michelle Phan writes the foreward. 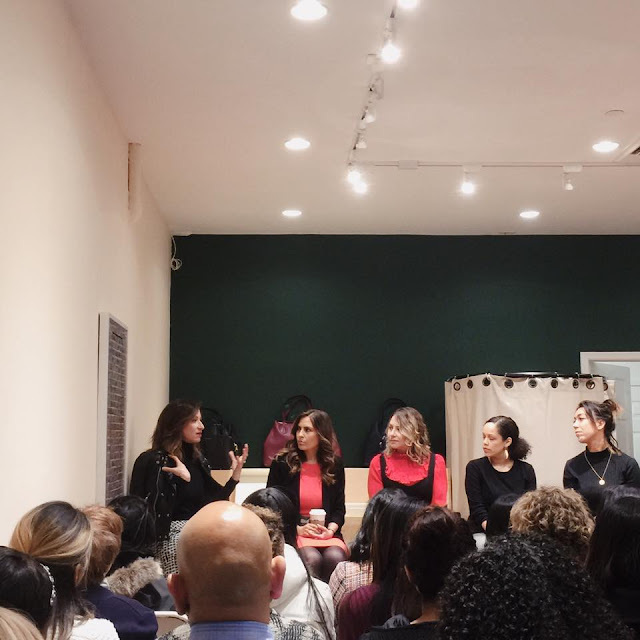 The panel featured fashion stylist Carmen Lily, Ladies Get Paid founder Claire Wasserman, and Director of Manifest NY Jessica Beckman. After listening to their own experiences, I realized that over the past year, I have lost the interest of blogging. After starting it 9 years ago, life gets in the way - you get it. It was as if every other post was sponsored, falling behind on creating "outfit" posts, the nonexistent time to create content, or even keeping up with the new generation of bloggers out there. Hearing about what makes each of them work harder for happiness in life refueled that spark I once had. For those that kept in touch, you might have realized on Instagram I've been posting at least a photo a day on Instagram. I started doing it to boost creativity and that's really where I've been sharing what I'm up to. I'm hoping to continue on this momentum and start blogging again - even if it is a weekly thing. I miss the community and even though some of my favorite bloggers stopped blogging as often as well, I'm looking forward to catching up! Please let me know what you think has changed in the blogging world over the past year and what do you think about it alongside social media? wow this is amazing! so inspiring!